Catering to your sense of style and good taste. 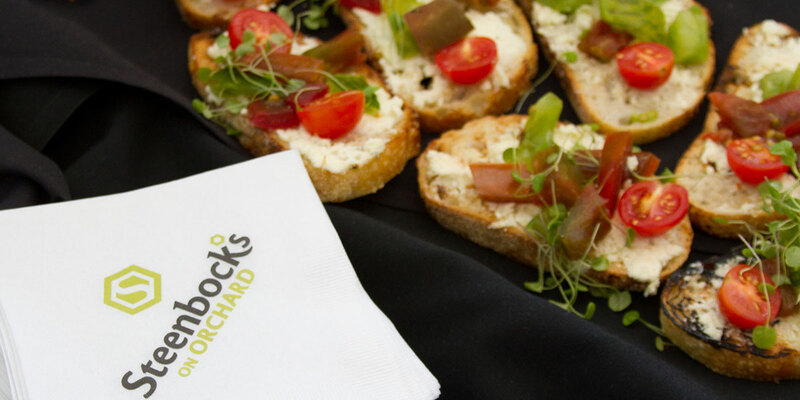 Steenbock’s on Orchard is the Wisconsin Institutes for Discovery’s exclusive on-site caterer, providing innovative menus and stellar service for events large and small. 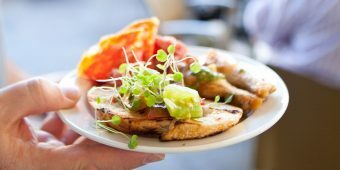 We raise the bar with contemporary dishes prepared from scratch by a talented chef using only the freshest available local and regional ingredients. Show your guests what real food and hospitality is all about. Explore our inspiring spaces…or let us inspire yours. The Wisconsin Institutes for Discovery boast some of the most stunning spaces in Madison, accommodating lectures, exhibitions, receptions and banquets in effortless style. 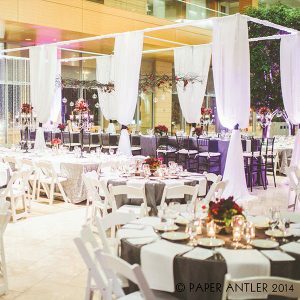 The modern urban décor and floor-to-ceiling windows are ideal for private seated dinners, cocktail parties, business functions and weddings, with a folding glass wall that opens to a covered, outdoor dining area. And if you’d rather host your event in your own familiar space, we’re happy to bring our superb menu and service to you. Working in such an inspiring space, surrounded by some of the brightest people in the nation working in our building, we can’t help but strive for excellence ourselves. The staff at Steenbock’s represents the pinnacle of professionalism, and has been trained by the best to provide exceptional, prompt, consistent service every time. We’re available when you need us, and out of sight when you don’t. When it comes to customer care, we’re the head of the class. Make your event truly world-class. It’s not just the impeccably fresh, farm-to-table food, or the elegant surroundings, or the incredible service. We understand how important this day is for you. Whether you’re planning a business event or a wedding, this day matters to you, and it matters to us. Our onsite coordinators know what you want, and pull it all together to create a unique experience, give you peace of mind, and allow you to enjoy the day to its fullest. For information about catering your event, please contact Megan Moderson at 608.204.2733, mmoderson@foodfightinc.com. Or, by filling out our EVENT INQUIRY FORM.